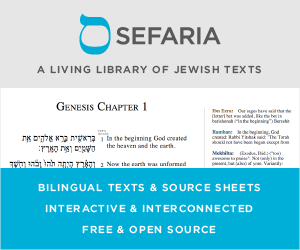 Why are the blessing(s) preceding the Haftarah printed and chanted with trope notes? There is a reason that I placed the plural "s" in parentheses for my question. I noticed that only the blessings preceding the haftarah have trope notes. Since this is not part of the haftarah itself, why does the blessing need any trope? 2nd question - It looks like the wording is actually two blessings as the common introductory phrase "Baruch ata Hashem" appears twice. However the trope has an etnachta at the end of the first blessing rather than a sof pasuk. Thus, it seems that these two blessings are combined as one "long one" as if it were a single pasuk. Is it one or two brachot? 3rd question - Why is there no trope for the blessings AFTER the Haftarah? Because of this, the man I was reading to sang (or, at least tried to sing) the blessings before the Megillah in the traditional tune associated with those blessings on Purim. This might help answer your first question. I have an answer to 1 and 3. The trop in the haftara beracha serves as a warm up so the layner can adjust to the haftarah trop after using the different torah trop. When I read the after beracha, I do read it with a tune just as I read the before beracha. In my own experience as a קורא (reader of the Torah), I have appreciated the placement of trup on the bracha before the Haftorah as a way to "get in the mode" of laining with the Haftorah trup, as it can be hard to remember not to use the Torah trup (and, sometimes, even if you do remember, it's still hard to switch). As Daniel said, that bracha is really just one bracha -- it's a ברכה ארוכה "long bracha," that starts with שם ומלכות and ends (after a lot of words) with the "second" bracha. According to what I wrote in the first point, there would be no need for the Haftorah trup after the Haftorah, because [while hopefully you were able to get into the Haftorah mode!] now there is no longer any need to be in that mode. As mentioned in the comments, I have no source for this and this is entirely my own opinion. A more authoritative answer citing sources would be greatly appreciated! Not the answer you're looking for? Browse other questions tagged blessing trop-cantillation haftarah . What is the difference between the blessing of Ga'al Yisrael preceding Shemoneh Esrei and the blessing of Go'el Yisrael? Has anyone “composed” music for the trope for Tehilim, Mishle and Iyov? Why are different psalms chanted differently in the Moroccan tradition? Why is the shalshelet trope (cantillation) note always at the beginning of the verse and always followed by a psik? When can (or can't) a word have two trops? Is there any Haftarah that has all the te'amim/trope symbols? Why is public reading of the haftarah not required to be from parchment? Why do Ashkenazi Orthodox Jews Chant With Reform Trope? Why do we change the Haftarah for Simchas Torah?